Subway is the world’s largest submarine sandwich chain with more than 44,000 locations around the world. From the beginning, their founder Fred Deluca has had a clear vision for the future of the Subway brand. They’ve become the leading choice for people seeking quick, nutritious meals that the whole family can enjoy. Subway is the undisputed leader in fast, healthy food. Their easy-to-prepare sandwiches are made to order right in front of the customer, precisely the way they want by using freshly baked breads, select sauces and a variety of delicious toppings. Subway restaurants also have everything you need to make your next event a delicious success, whether it’s game day with friends, a meeting at the office or a block party for the neighborhood. Explore their menu to see all of the delicious catering options, including hunger-busting Giant Subs, piled-high sandwich platters, and quick and easy “Subway to go” meals and much more. You can build your order just the way you and your guests like with your choice of fresh breads, veggies, toppings and more. Let Subway restaurants cater for you today! As Subway continues to grow, they are guided by Fred’s passion for delighting customers by serving delicious, made-to-order sandwiches. 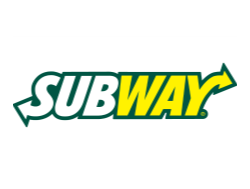 There are more SUBWAY restaurants in the world than any other restaurant chain, making them a leader in the global development of the quick service restaurant industry in over 100 countries.